If you ask Affordable Contractor Services, LLC, just like any kind of work done by a remodeler, a good fence is one that blends in with the overall style of your home and directly elevates property value. Ideally, it’s also low-maintenance, built to last and of course – it’s one that’s affordable. Solid seclusion fences for privacy and a peaceful retreat in your yard. Fences with an aesthetic focus to complement an existing home theme. Property enclosure fencing for a secure play area for young children and pets. Wood, chain-link, composite and ornamental iron fence options. Beyond the fence fundamentals that we like to see, the “best” type of fence depends largely on the individual home and the specific needs of the homeowner. 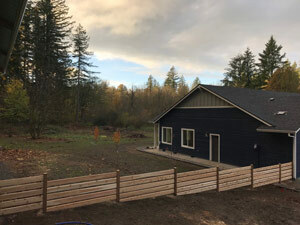 So, to make the decision a little easier for our neighbors in Vancouver, below is a short list of things to keep in mind when looking for a fence. 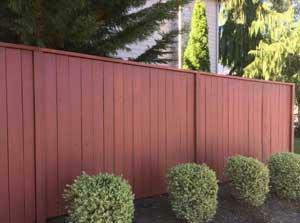 Before the type of fence is chosen, the first thing to consider is the function of your fence. Because at the end of the day, different people fence their yards or homes for different reasons. And those individual reasons determine what kind of fences you should be looking at. While some homeowners may install a set of new windows for a better view, others may opt for a gapless privacy fence to bring a bit of seclusion from the neighbors. And others may only want to give children and pets a safe place to play while still maintaining some visibility. To make the process easier, narrow down your options by thinking about why you’re getting a fence in the first place. Like any other addition made to a home, raising a fence will almost always affect property value. Where a purely stylish fence that’s consistent with the theme of your house might increase resale value, a fence built strictly for privacy and security could actually hurt value if it’s a less common feature of comparable, nearby homes. While Affordable Contractor Services will always suggest a fence that’s going to help value, our team understands that some homeowners have strong preferences when it comes to the security and comfort that a more robust fence can offer. If you’re part of homeowner or subdivision association, your fence-related decisions may begin – and end – with what’s written in the rules. So before making any decisions at all, refer to your HOA rules to check if there are any guidelines that may restrict the type of fencing available for your property. Once installed, a new fence becomes part of your home, which means that just like every other part of your house, there will be some upkeep necessary. So before jumping in, consider what kind of maintenance you most expect. In general, wood panel or picket fences are thought to be more aesthetic for most homes, but may need a new coat of paint or varnish every few years due to weathering. On the other hand, iron or chain-link fencing may hold up to the elements a little better, but if they get damaged, they’re typically more expensive and cumbersome to repair. Whether you already know what kind of fence you’re looking for or you need a little expert guidance, our team is ready to help. Any one of our fence or remodeling consultations include free estimates, and a careful step-by-step explanation of the scope of work. We always stand by our estimated dates of completion and guarantee every aspect of our work. 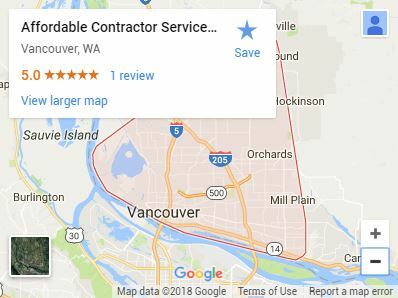 Whether you are looking to install a new fence, windows, remodel your house or you’re just looking for a general contractor, Call us Today for a free estimate today.